I recently learned how to scrape the seeds out of a vanilla bean pod and I am in love with vanilla. The smell, alluring flavor, heavenly taste... Therefore, when I happened to have a vanilla bean on hand, I knew I had to create something worthy of its exotic presence. Also, it seems the more time you spend preparing your food, the healthier it turns out. 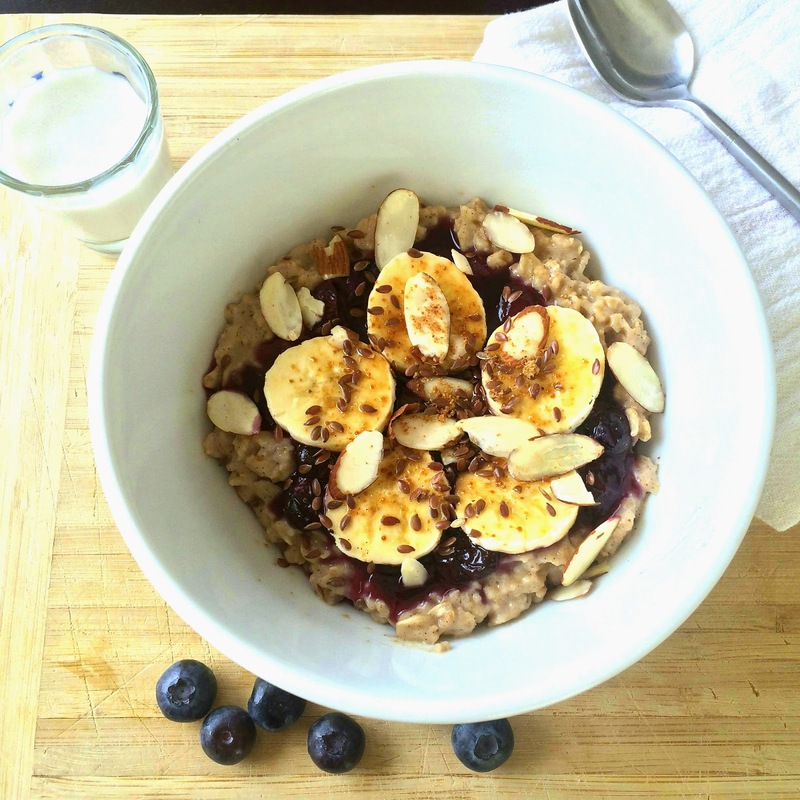 This oatmeal is comprised of rolled oats, vanilla seeds, flax seeds, almond milk, almond pieces, coconut sugar, cinnamon, blueberries and agave nectar. 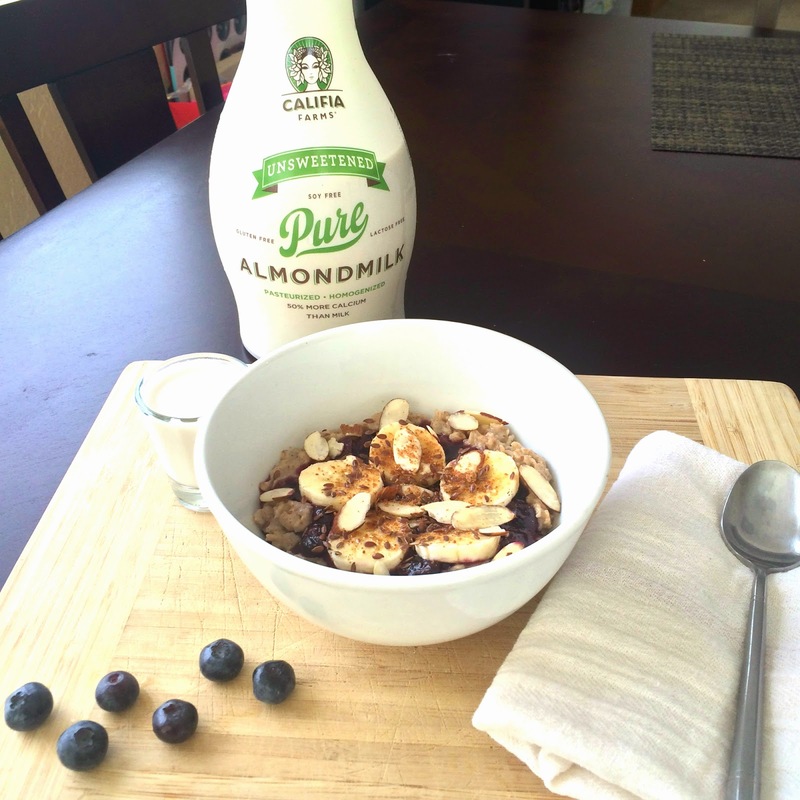 In a saucepan over high heat, combine the oats, 1 cup of the almond milk, half of the vanilla seeds, and the cinnamon. Bring to a boil for 5 minutes, then remove from heat, cover the pan and set aside. Stir in 1 Tbsp coconut sugar. Meanwhile, in a small saucepan over medium-low heat, combine the blueberries, 2 Tbsp water, the remaining half of the vanilla seeds, and the 1 tsp. agave. Cook, stirring, until the berries release their juices, about 6 minutes. To serve, spoon the hot oat porridge into 2 or 3 bowls. Drizzle with the warm blueberries. Top with the banana and sprinkle with the almonds, coconut sugar, and flax. Feel free to get creative and use whatever toppings or berries you like.